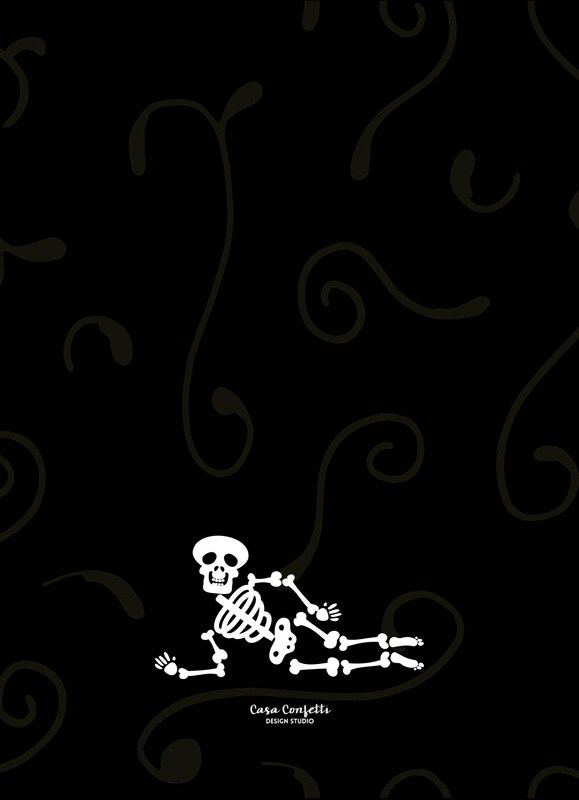 I am just so obsessed with these super fun dancing skeletons! Come party with them if you dare! 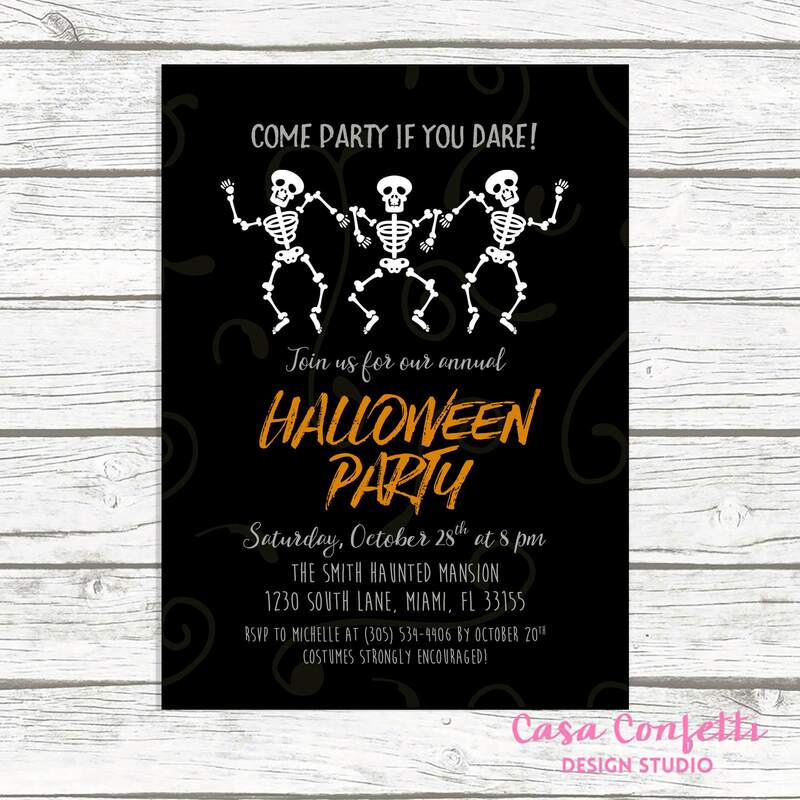 This Halloween party invitation is fun yet spooky-- sure to set the stage for an awesome Halloween party, and endlessly versatile! 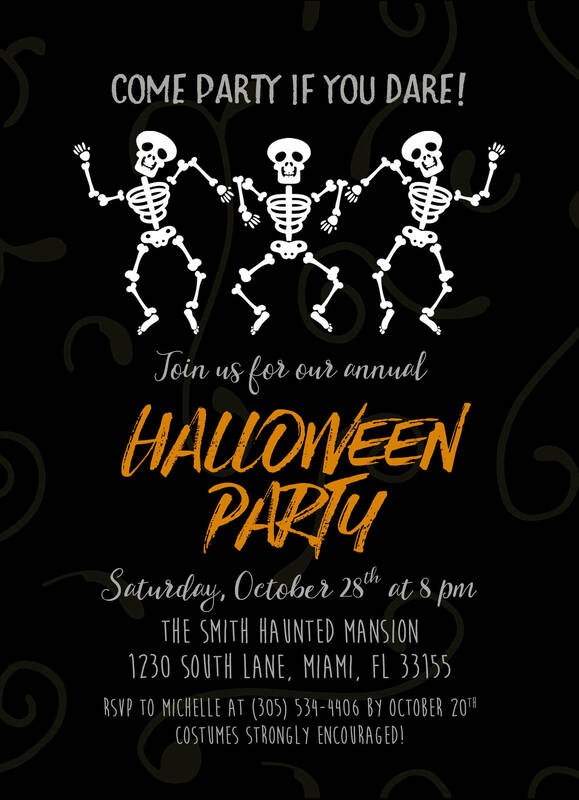 Works in any number of settings, no matter what kind of Halloween bash you are planning! This listing allows you either: (1) to purchase your invitation as a digital file only; or (2) to purchase as many PRINTED invitations as you need. Simply use the drop-down menu to choose. Both options include a FREE matching back for your invitation, for an elegant and polished look. PRINTED invitations start at $1.70 each (for 150 invitations). Invitations are printed on luxurious, ultra-thick card stock (design on front and back! ), and come with high-quality white envelopes. All orders ship FREE via UPS!! This is really a great price for invitations of this quality. Please note: the smaller the print run, the higher the cost per invitation. For example, 25 invitations cost $60 ($2.40 per invitation), while 150 invitations cost $255 ($1.70 per invitation). Please convo me on Etsy if you need a quantity that is not listed in the drop-down menu.